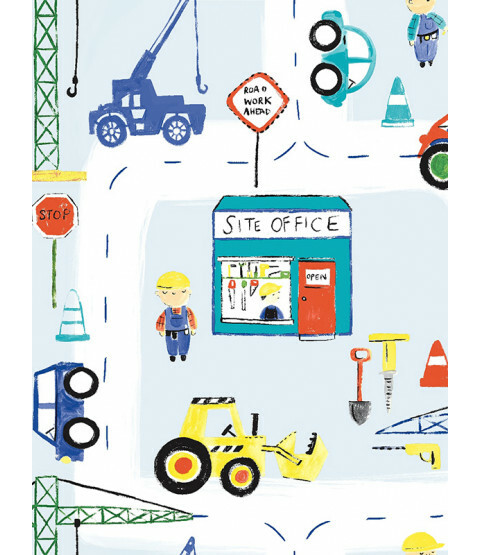 Budding builders will love this fun Road Works Ahead Construction Wallpaper by Holden Decor. 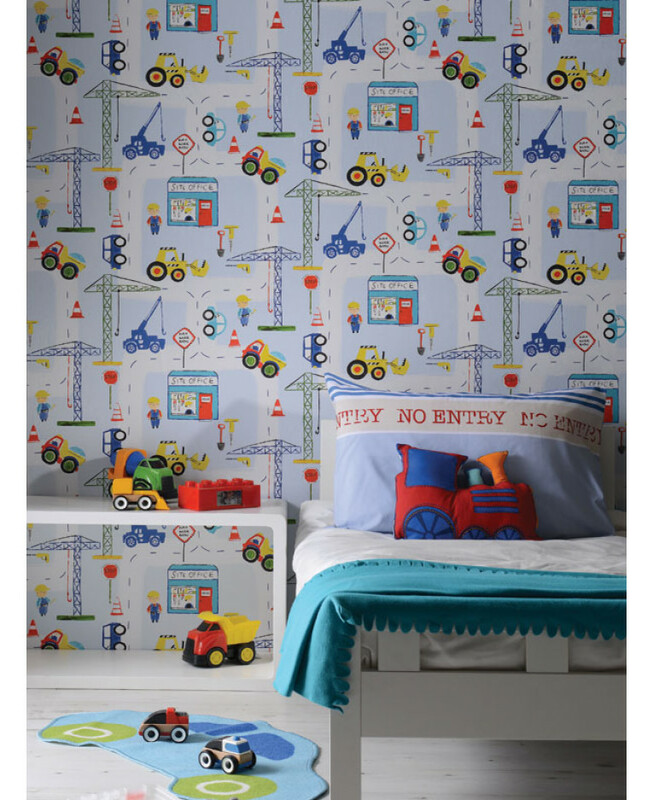 The primary coloured palette makes this design perfect for any kid's bedroom, play room or nursery. 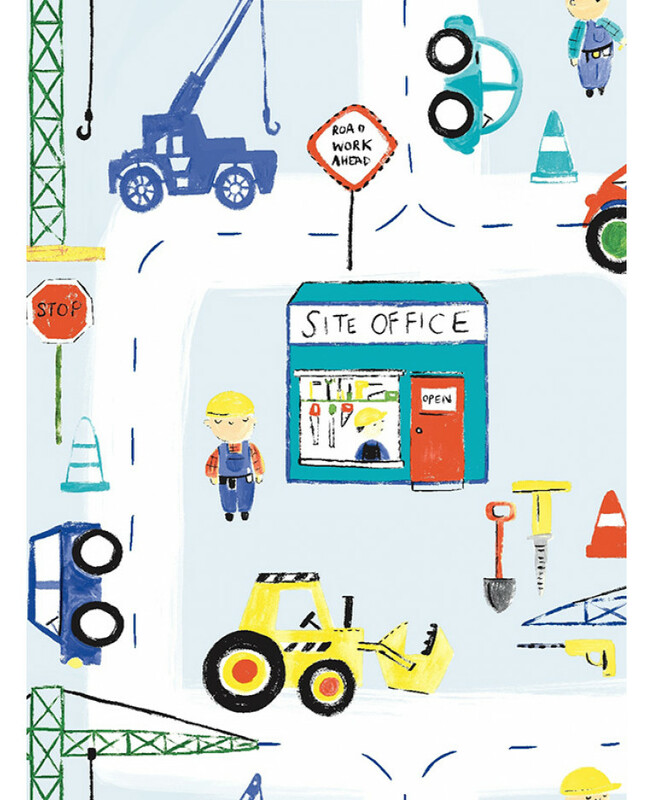 The construction themed design features diggers, trucks, road signs and cranes set upon a pale blue background. Easy to apply, this wallpaper will look great when used to decorate a whole room or to create a feature wall.